Meares Auction Group is celebrating its 41st year in the auctioneering business! Visit the company’s Feb. 13, pre-Valentine’s Day coin auction on Proxibid featuring rare silver and gold coins and collectibles … with a 5 percent buyer’s premium! Click here to go straight to the auction. Meares Auction Group is one of the original Proxibid companies, operated by Darron and David Meares, second generation auctioneers from Pelzer, S.C. Darron is founder of Meares and Associates, LLC, an appraisal and public speaking firm located in Upstate South Carolina. Darron Meares and his company welcome coin consignments for their regular Proxibid auctions. He has one of the lowest buyer’s premiums on Proxibid at only 5%, showing his leadership in serving both consignor and buyer in spurring competition for top-bids and online auction excitement. See this post about his latest industry innovation. Meares Auction Group consistently has ranked high on Proxiblog and has placed in several of our award competitions, including Best Timed Auction and Most Improved Auction. 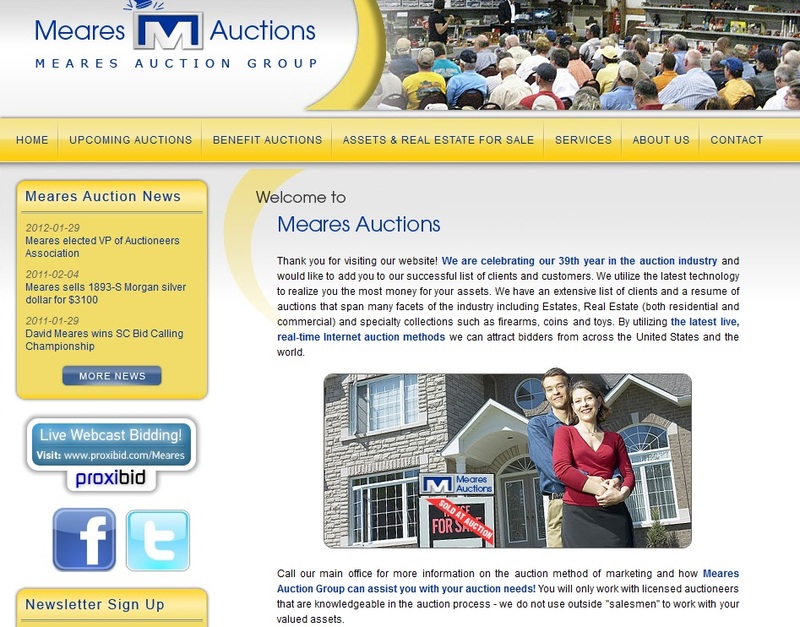 Meares Auction Groups specializes in a variety of services, including personal property auctions. While they consider all of the items in home, business or storage, they serve Proxiblog clients primarily with coins and collectibles. Photography and lot descriptions are of high quality and accuracy. Shipping is quick and secure. If you’re interested in consigning, or just knowing more about this nationally known auction house, click here. Finally, one of the reasons we think so highly of Meares Auction Group concerns its specializing in Benefits Auction to help non-profits and charity organizations. To read more about that, visit this page.